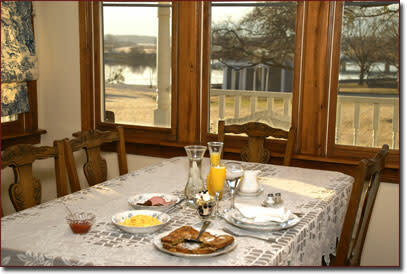 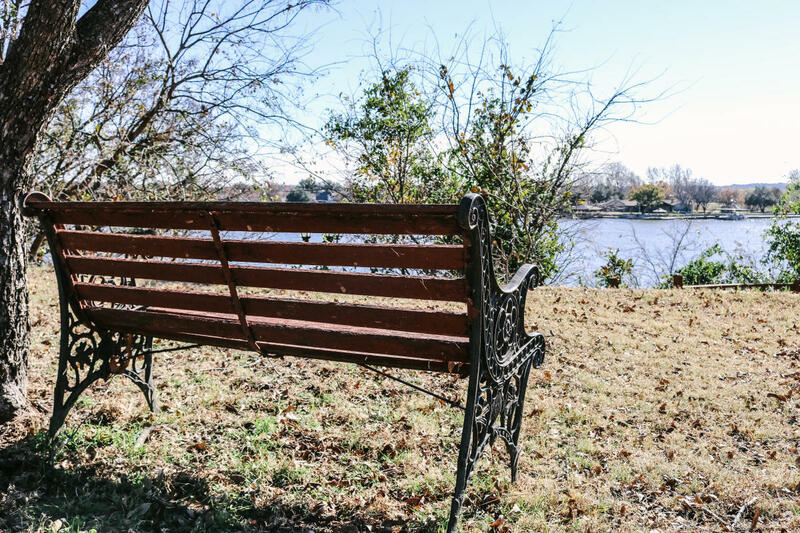 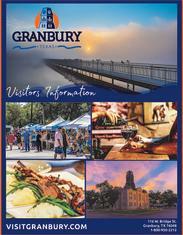 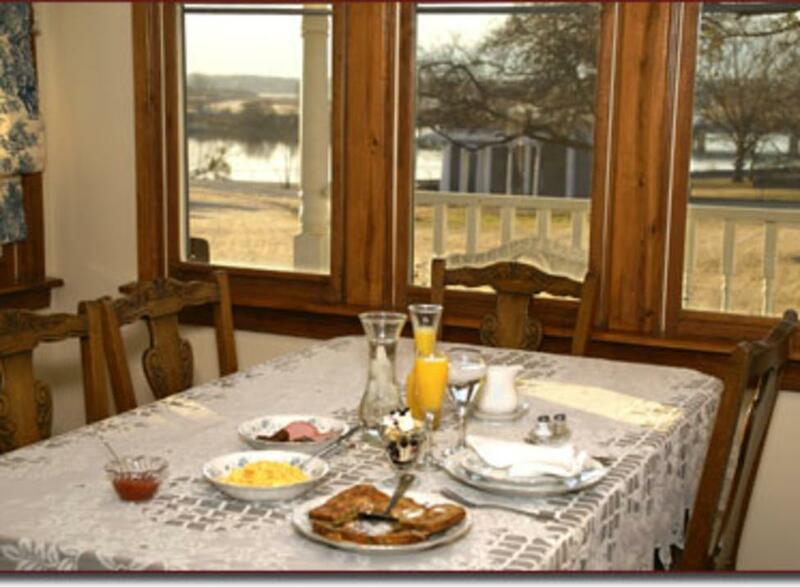 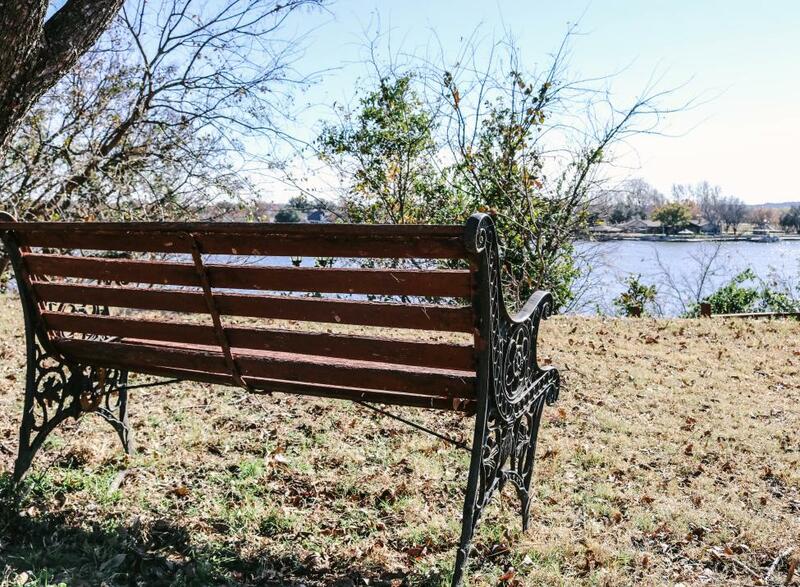 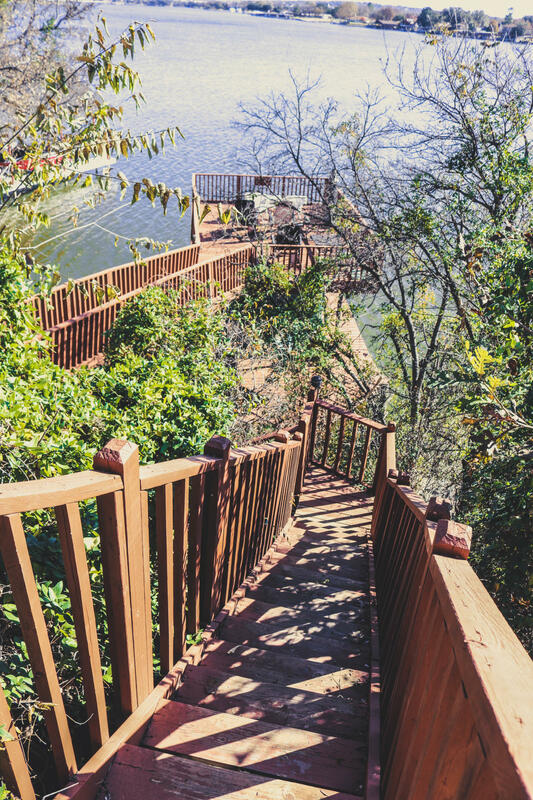 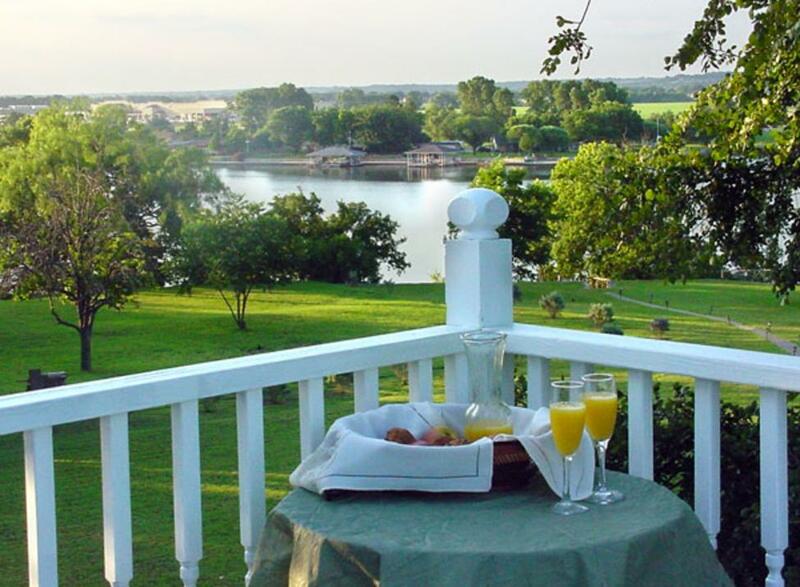 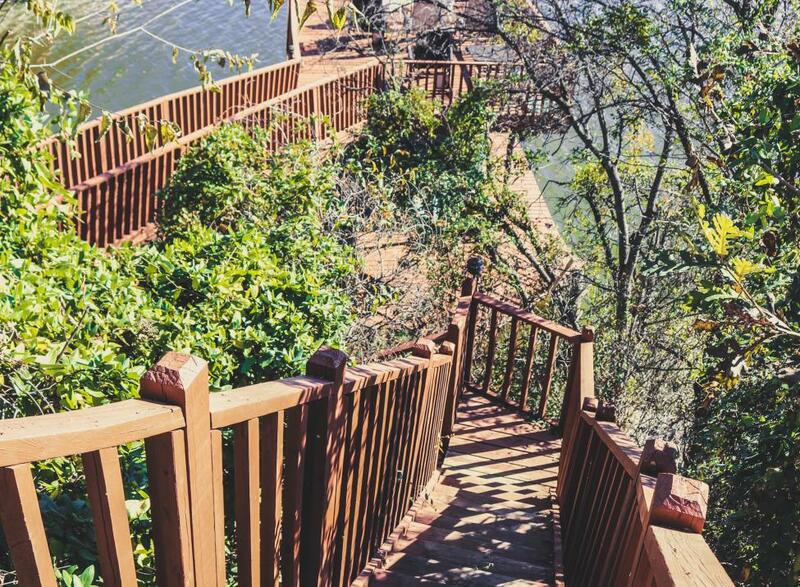 The secluded two-acre grounds with an enchanting and nostalgic gazebo, a waterfall and Koi pond, as well as a double-decked dock on Lake Granbury create the perfect setting for that special occasion, romantic getaway, family get-together, church or corporate retreat, or for spending a few stress-free days away from the city. 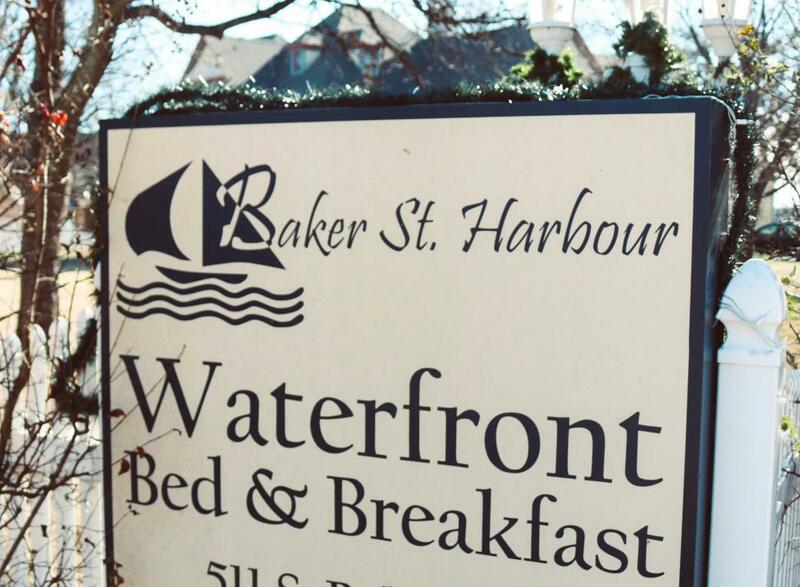 Baker St. Harbour Waterfront Bed and Breakfast is a wonderful location for your wedding, reception or other special event. 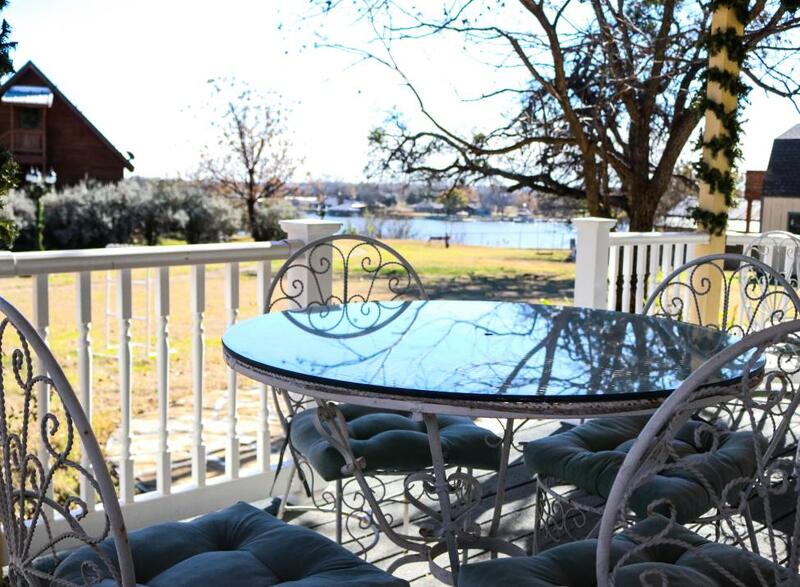 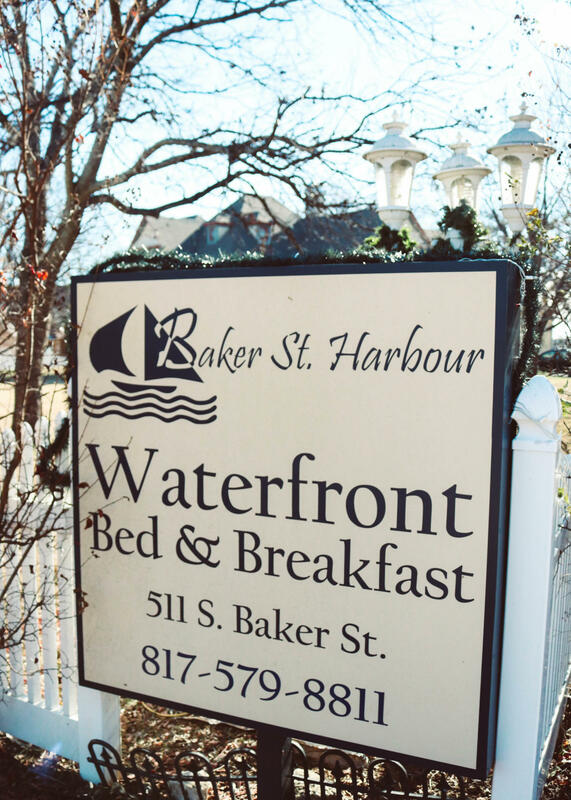 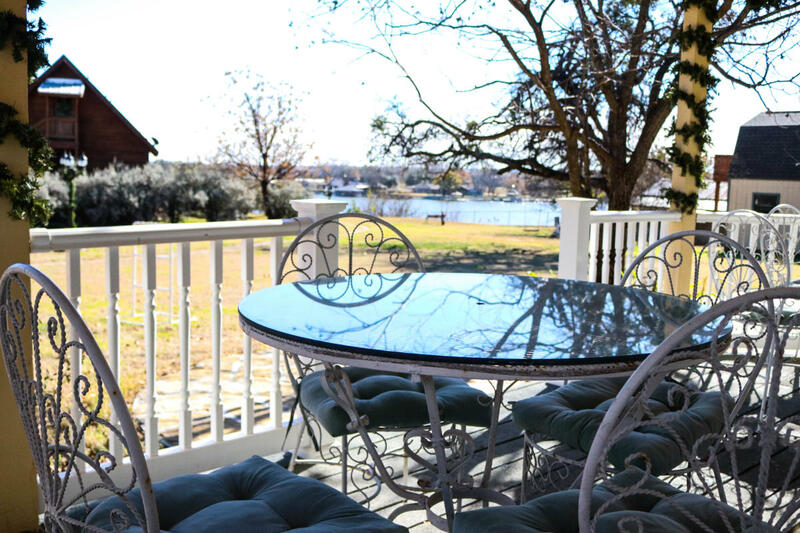 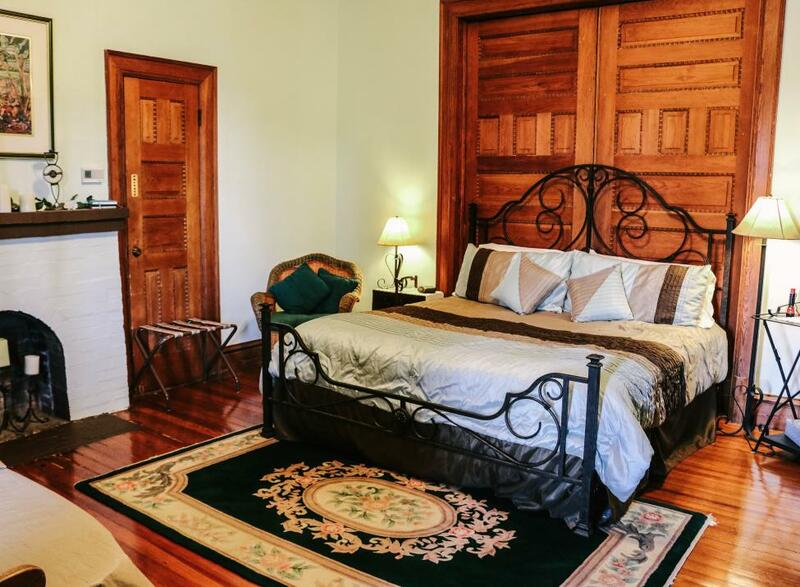 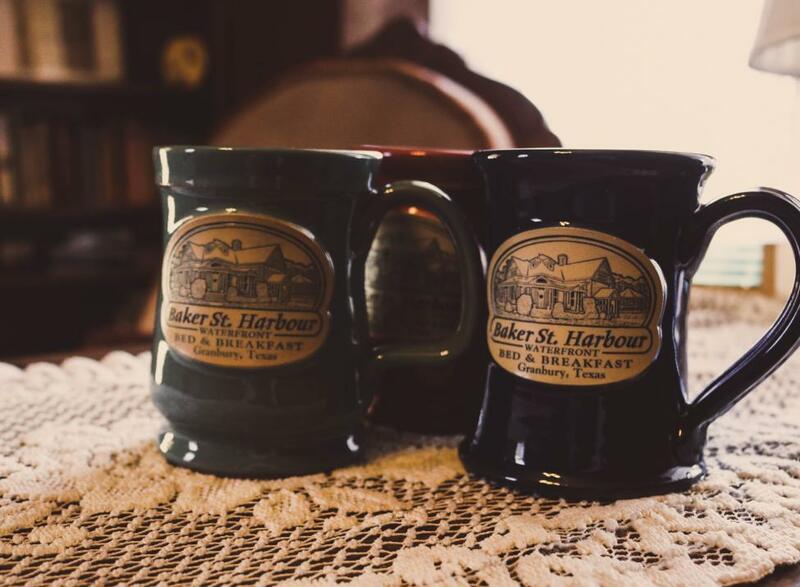 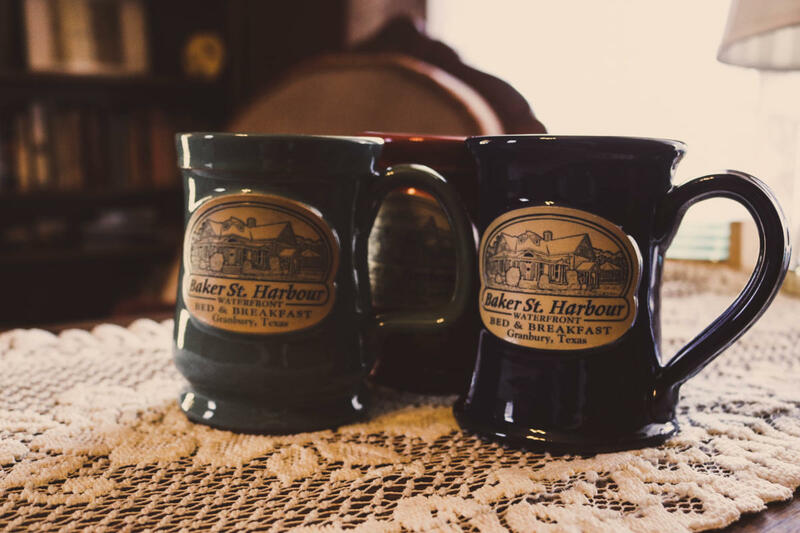 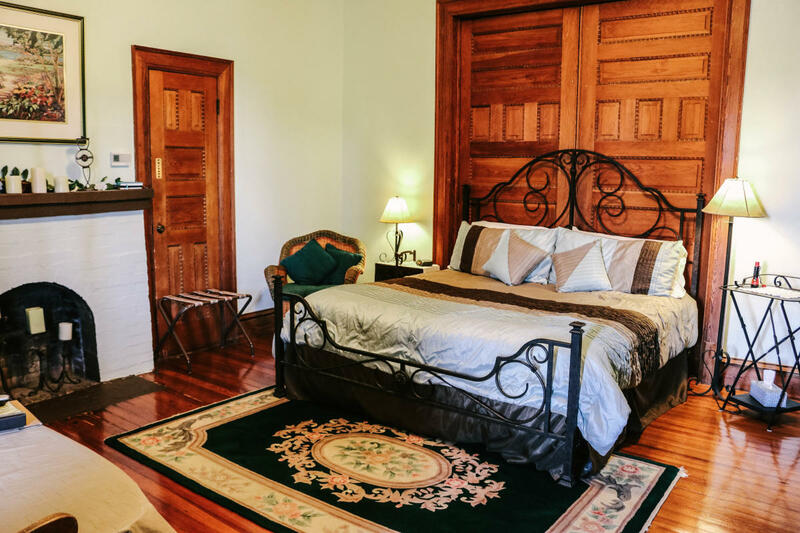 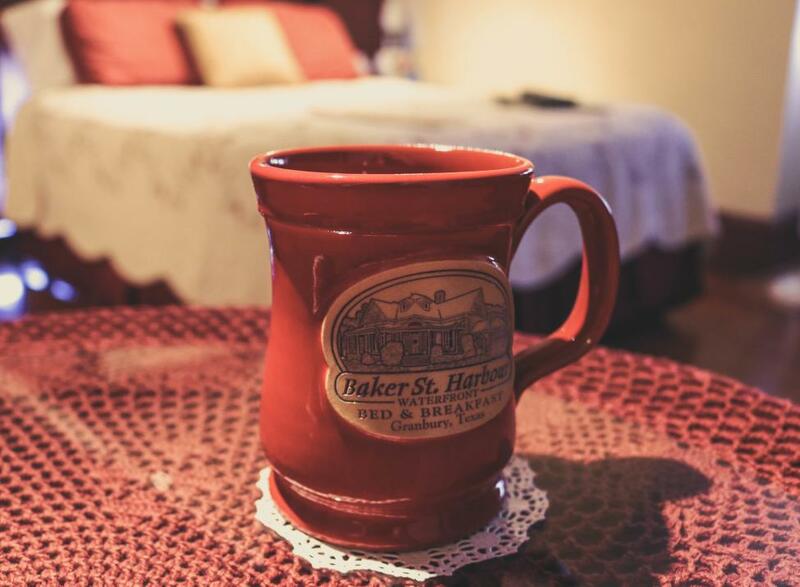 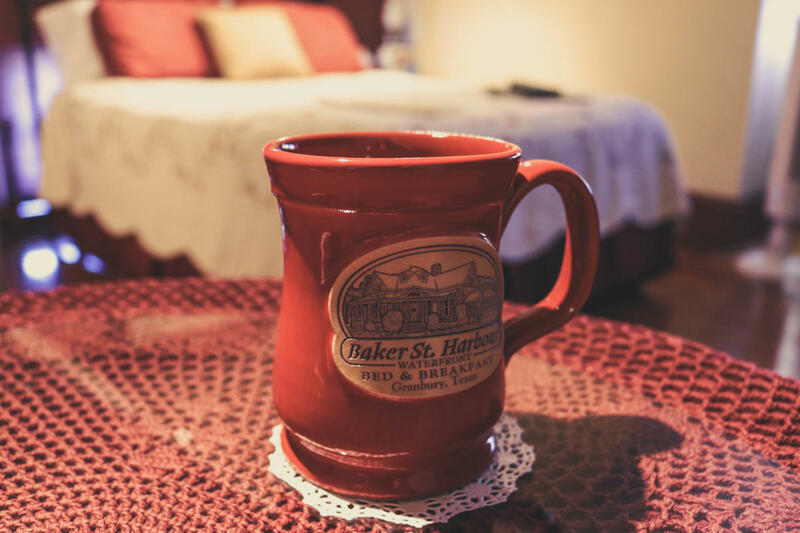 You will awaken to the wonderful aromas of freshly brewed coffee, and other delightful Baker St. Harbour Waterfront B&B breakfast specialties as you leisurely prepare for your day.